I live in Pittsburgh, Pennsylvania. 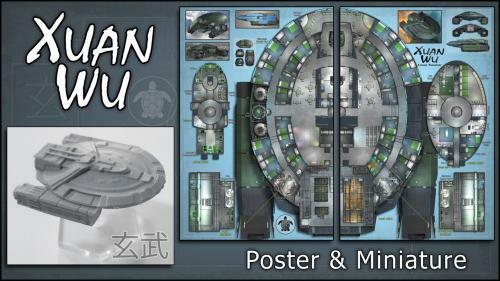 I’m a graphic designer and aspiring starship cartographer. 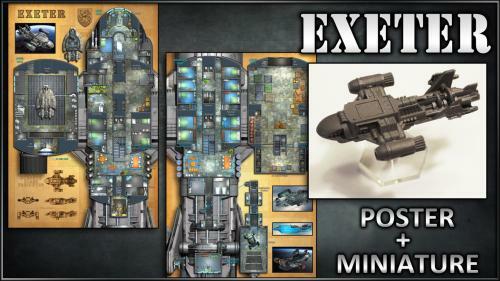 My ever-expanding armada has been available in PDF format for years and is now making the transition to the physical world of posters and miniatures. I call my company "0 hr: art & technology". 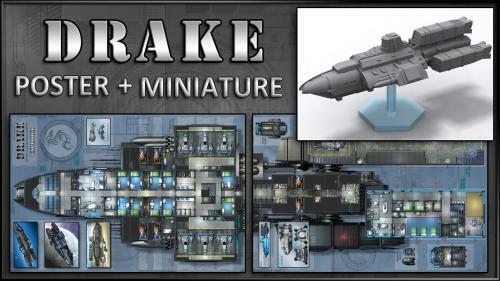 Please visit my website ( 0-hr.com ) if you'd like to find out more or order merchandise from past campaigns. 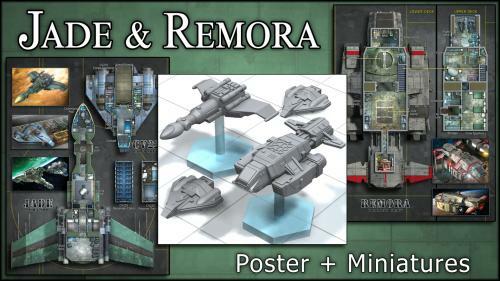 Starship miniature & poster map for Starfinder & other sci-fi RPGs. A sleek bounty hunter on one side - a grungy slaver on the other. 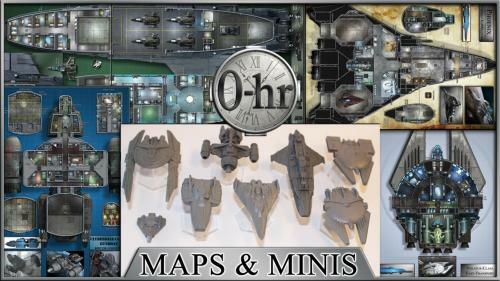 Starship miniature & poster map for Starfinder & other sci-fi space RPGs. 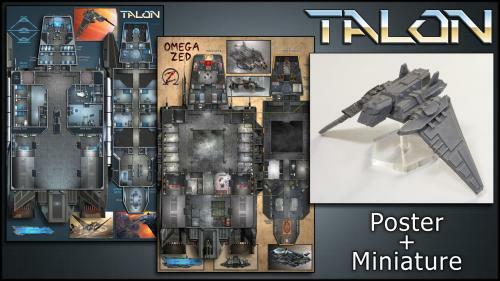 An armed courier perfect for a crew of 2 to 6. 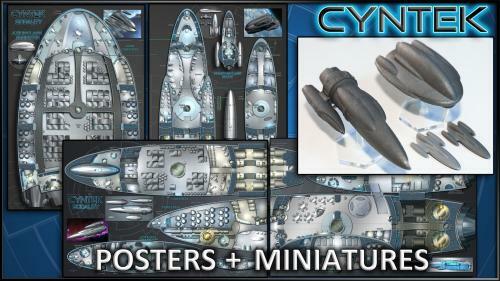 24x36 inch double-sided poster & matching miniature: an exploration vessel or light frigate for Starfinder & other sci-fi / space RPGs. 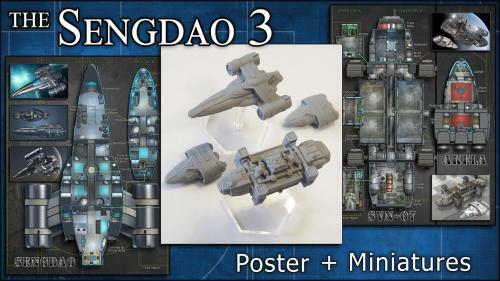 Deckplan posters and ship miniatures for Starfinder and other sci-fi RPGs. 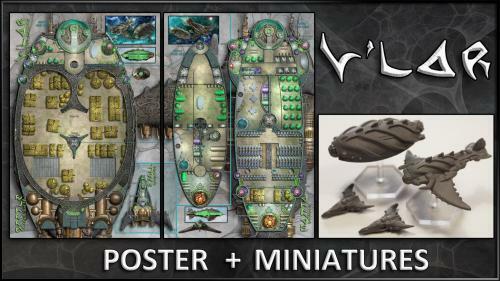 24x36 inch deckplan poster & set of 4 miniatures - organic alien ships for Starfinder & other sci-fi space RPGs. 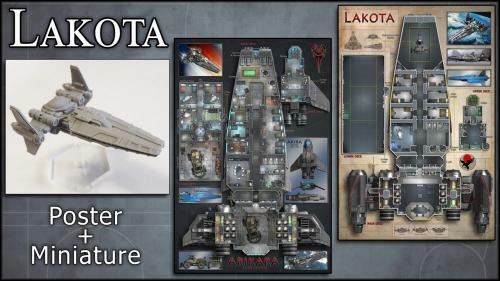 24x36 inch double-sided deckplan poster & matching resin miniature - a high-tech interceptor for your science-fiction / space RPG.